Sochi Games: Is the Olympic symbolism machine out of gas? Is the Olympic Symbolism Machine out of Gas? As I write this, the Olympic flame, which managed to get from Olympia, Greece, to Moscow just fine, has gone out twice since arriving in Russia on Sunday afternoon, including a first flame out in the Kremlin itself. It’s a symbolic black eye for an organization that is all about symbolism. The torch relay dates back to Hitler’s Berlin Olympics. The flame, the flags, the parades, the doves: The International Olympic Committee puts on a good show. The uproar over Russia’s anti-gay laws and their hosting of the 2014 Sochi Winter Olympics has led to renewed calls for a revision of Principle 6, notably by our friends at the Pride House International, a coalition of LGBT sport and human-rights organizations promoting visibility for LGBT sport at mainstream events, with a particular focus on Sochi. And now Thomas Bach, the newly elected president of the International Olympic Committee, has called for a change in the charter to include sexual orientation. Alas, it seems that such a change would make absolutely no difference on the ground. Because in the very speech in which he called for sexual orientation to be protected, Bach declared that he could do nothing to protect LGBT people in Russia, including athletes competing in Sochi. The message is that local laws, even the most intolerable, will be tolerated, a message confirmed by the chair of the IOC coordination commission, Jean-Claude Killy’s, hands-off approach. During his latest visit to Sochi, Killy said that as long as the Olympic Charter was respected, the IOC could and would do nothing. So for both Bach and Killy, discriminatory laws do not violate the charter’s prohibition on discrimination. We’re calling shenanigans. We’re absolutely certain that if local laws affected IOC intellectual property or the interests of their sponsors, the IOC would find plenty to say and do about them. At the Federation of Gay Games, we’ll continue to call for a change in the Olympic Charter. 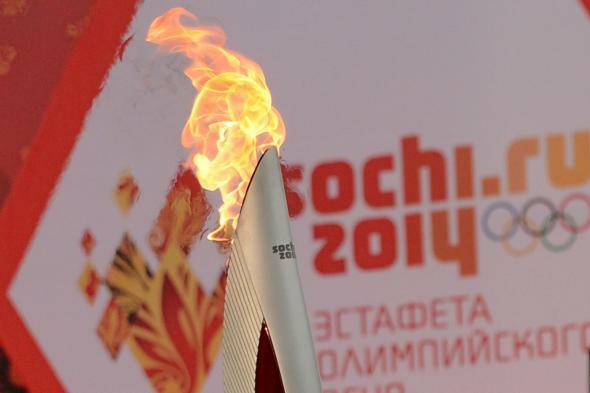 But the charter cannot be like the Sochi Olympic torch, a flame that goes out in the mildest breeze. Symbols only really work if they stand for something. It’s more than time for the IOC to decide what the flames, the flags, and the doves all really mean.